The West Allis Nationals Board of Directors is pleased to announce three new inductees into the team's Hall of Fame. #41 James Herkowski - Lifetime .371 average over 15 seasons. All Time Leader - Hits - 322. All Time Leader - Runs Scored - 215. All Time Leader - RBI - 219. All Time Leader - Doubles - 65. #21	Alex Franson - Lifetime .325 average over 14 seasons as a player, and later as a player/manager. #2 All Time - Hits - 276. #2 All Time - Runs Scored - 208. #2 All Time - RBI 178. #2 All Time - Doubles - 53. #71 Tentoni - First-ever elected for off-the-field contributions benefitting the franchise. Congratulations to these gentlemen and Tentoni for their achievements. 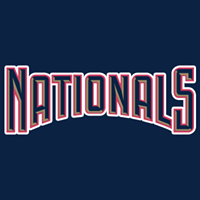 The formal induction ceremony/celebration will be held in a dimly lit parking lot after a Nationals game this summer.